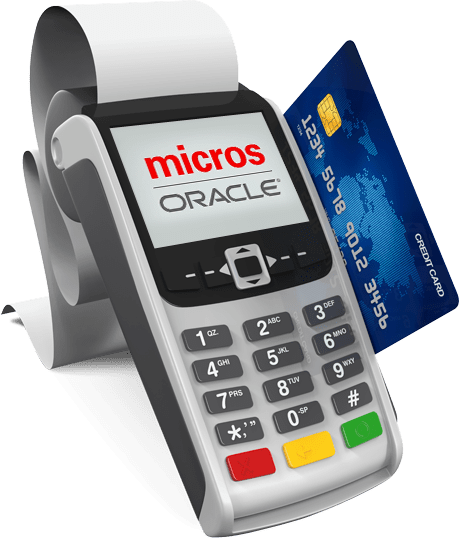 Oracle Micros POS system helps you get ahead of the competition using integrated POS technology that's built specifically for the food and beverage operations of your business. Chetu developers help you deliver fast, efficient services with centralized POS software and hardware building inspired loyalty programs and offers to keep costs low. Our experts perform integrations and configurations for MICROS-OPERA Xchange Interface (OXI) for two-way, real-time communication with OPERA modules including Opera PMS, Opera Xpress, Opera Lite, Opera Mobile (Opera2Go), Opera Vacation Ownership (OVOS), Opera Sales and Catering, Operetta, Opera, as well as implement across on-premise, cloud, and mobile device access points. Chetu's developers perform custom MICROS integration services with MICROS software platforms and modules with Fidelio PMS using Fidelio Interface Application Specification (FIAS) to access and implement MICROS-OPERA property solutions and features, as well as with MICROS-OPERA Web Suite (OWS) applications. Micros API integrations to 3rd party applications extend the capabilities of the MICROS POS and connect to your businesses CRM, ERP, HCM and more. We develop MICROS PMS (Property Management System) software solutions with customized applications and perform custom integration using Hotel Technology Next Generation (HTNG) and Open Travel Alliance (OTA) specifications with VisualOne, Maestro, WebRezPro, Micros' Opera and Fidelio, Galaxy, Choice Hotels, and other platforms. Our MICROS POS system development services program Point-of-Sale (POS) platforms for accepting credit cards, debit cards, checks, ACH, mobile payments, loyalty cards, prepaid cards, and fit cards with custom third-party integration of popular payment processors including FirstData, TSYS, Paymentech, Verifone, PayPal, Authorize.Net, Google Wallet, and Apple Pay. We integrate MICROS Customer Relationship Management (CRM) solutions with event management software for automating contact lists, direct mail, promotions, check-in, and tracking, as well as develop native, mobile, and tablet applications for CRM platforms. Our developers engineer MICROS automation solutions for business operations, including lead management, rental agreements, document exchange, e-mail and maintenance, workflow management for market forecasting, pricing strategies, sales support, and processing with Opera Sales Force Automation (SFA).